The Tile & Glass Marking Solution can be used on glass or any type of ceramic or porcelain tile, making it a very versatile and useful product in your production setting. 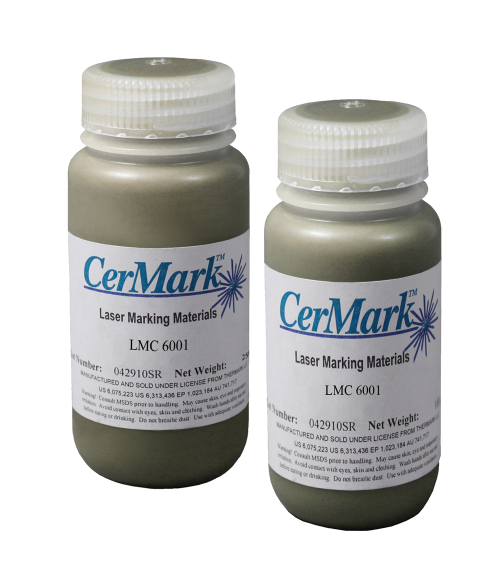 The CerMark Tile & Glass Marking Solution is best when applied using the Spray-Tool Kit and will leaves a rich bronze mark for excellent results. The 100 grams will cover an estimated 1000+ square inches. Available in 100g and 250g bottles.